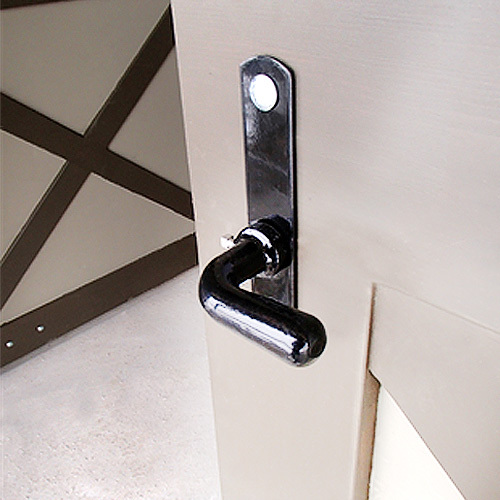 The iron grip latch is one of the best latches on the market for swinging doors. 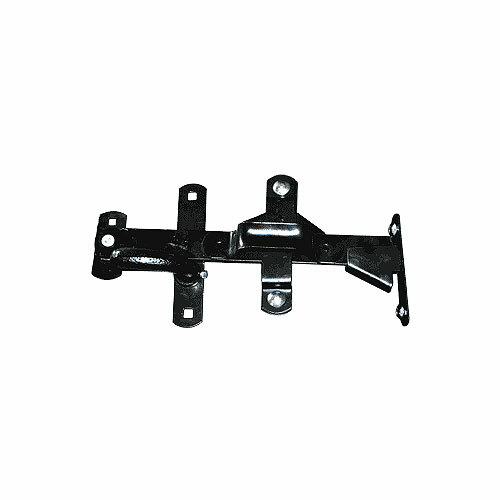 This latch has a heavy-duty iron handle on the one side and heavy flat bar on the other, which makes for a positive slam locking door latch. 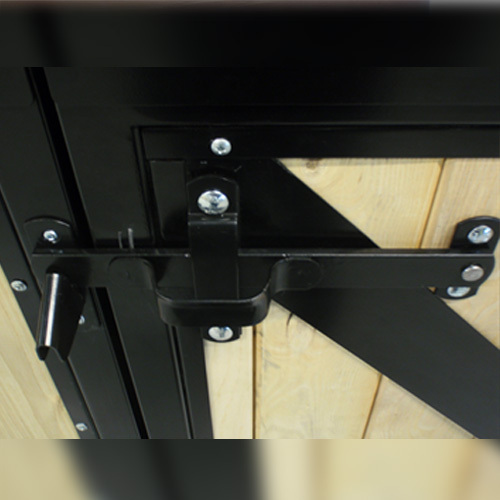 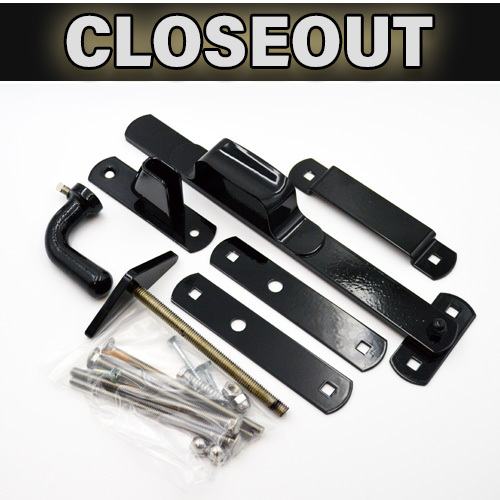 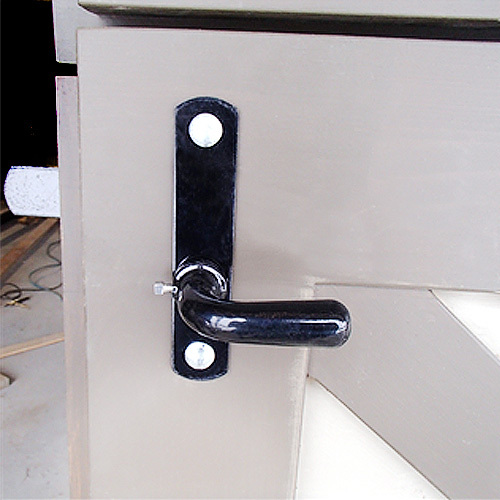 This latch comes powder coated black or it can be custom ordered with a zinc-plated finish. 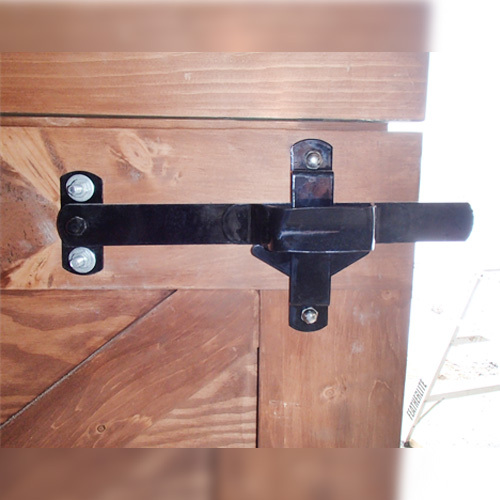 Supplied with all fasteners for a normal installation and is reversible for both right and left-handed installations!